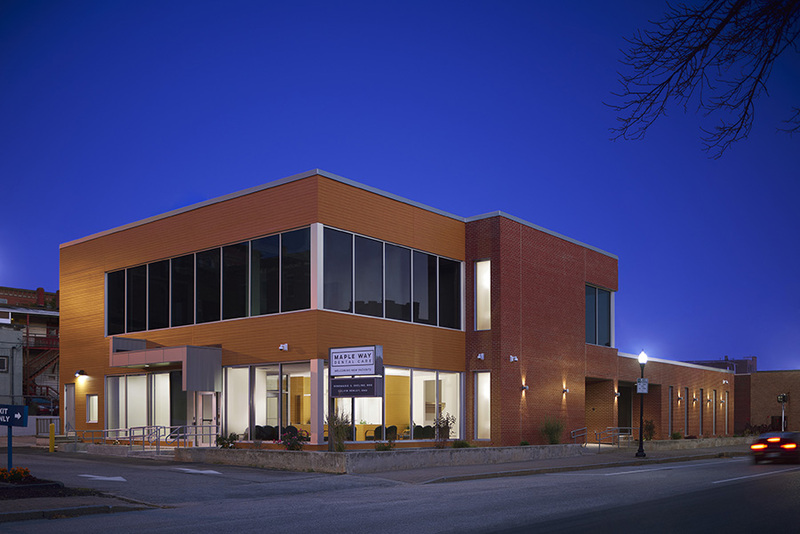 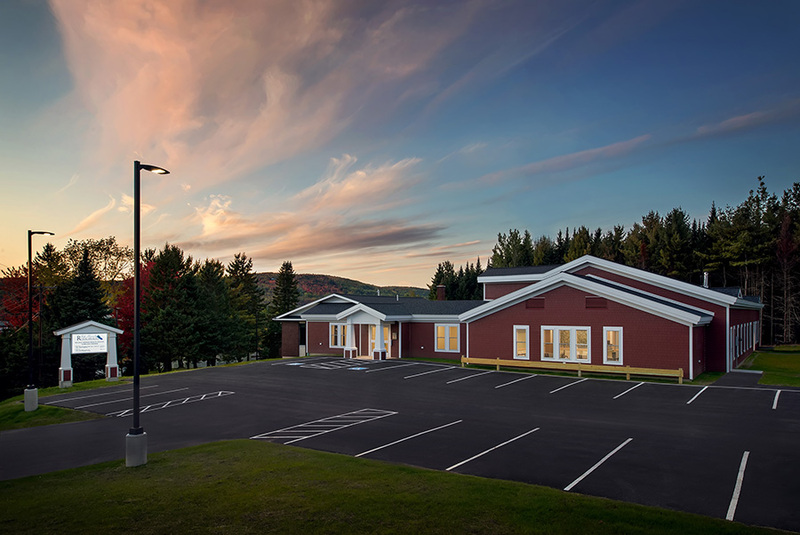 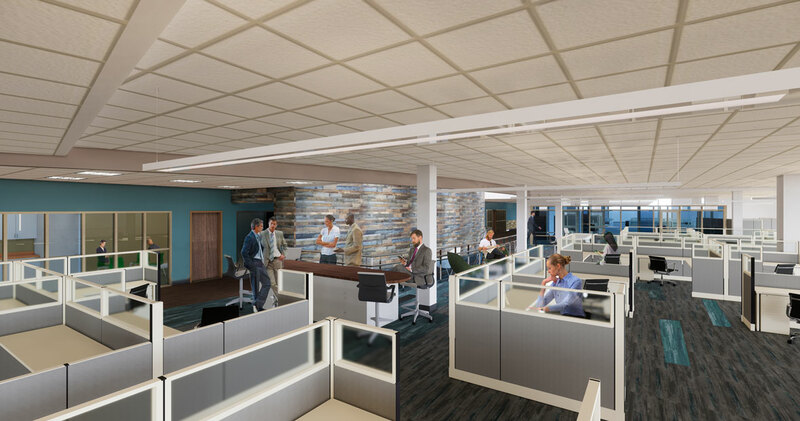 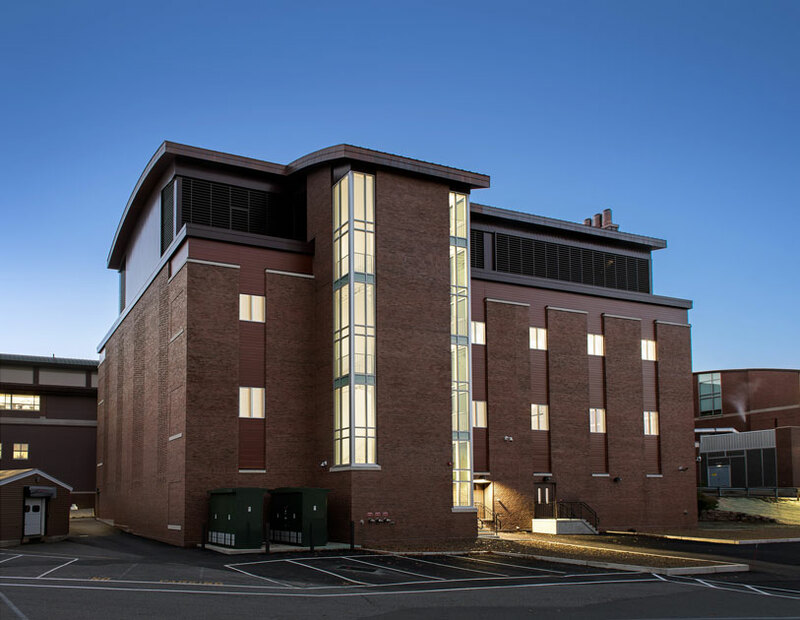 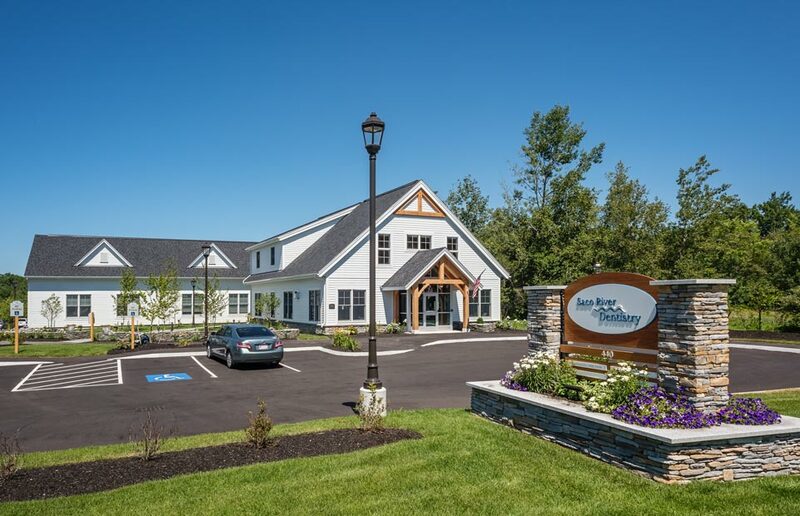 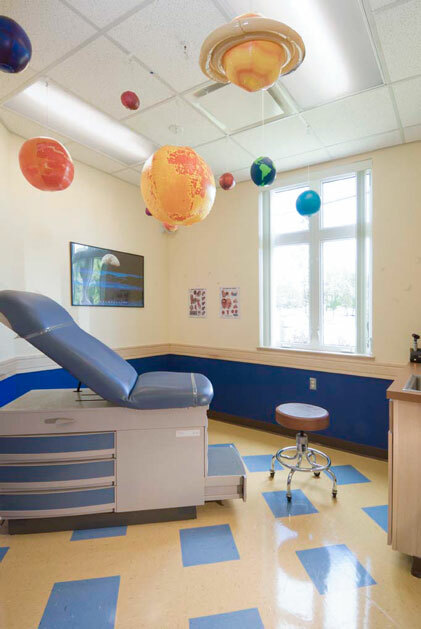 This new medical office building for Maine Medical Partners provides office space for Greater Portland Pediatric Associates, Greater Portland Medical Group, and NorDx. 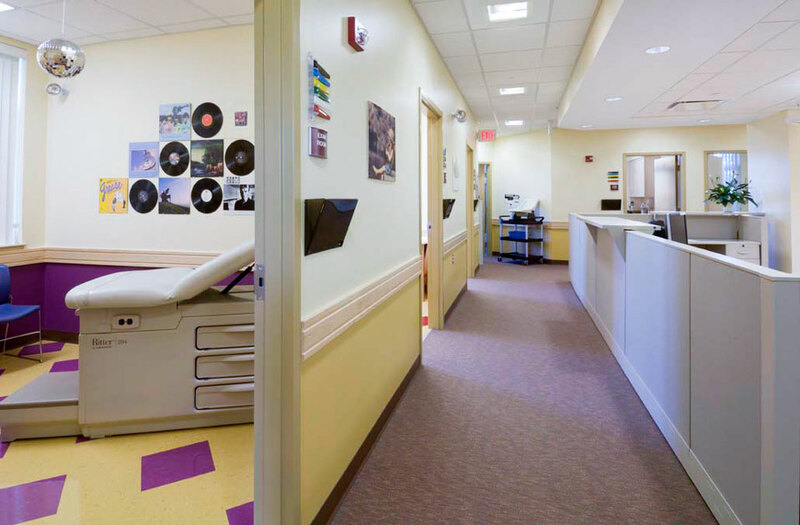 The first floor houses offices for Greater Portland Pediatric Associates and Greater Portland Medical Group. 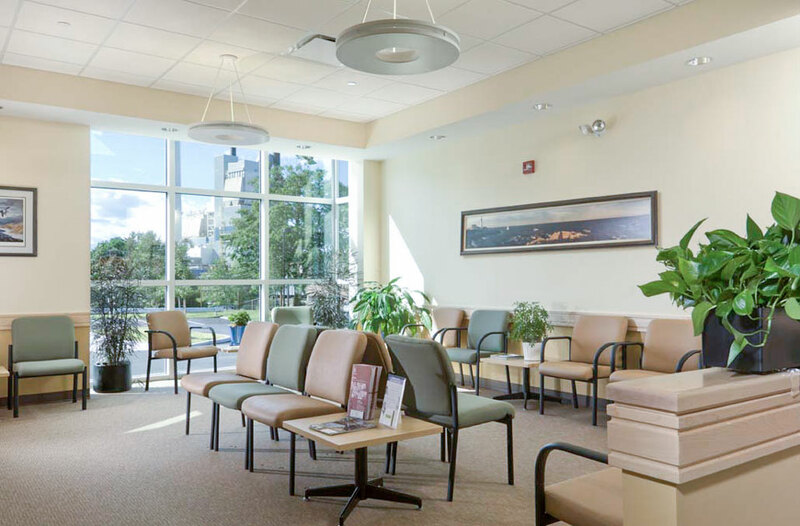 Common public and service areas are shared by the two, but each have their own private reception, waiting, and clinical spaces. 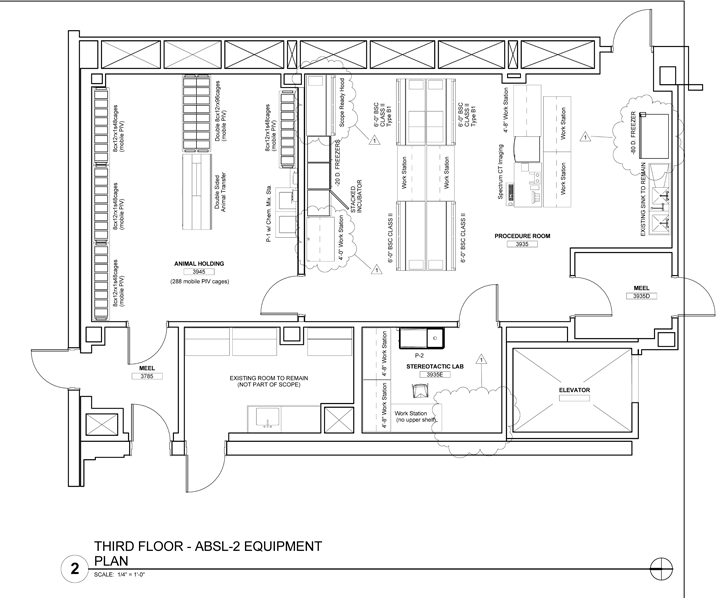 The second floor contains a NorDx phlebotomy office as well as future lease spaces. 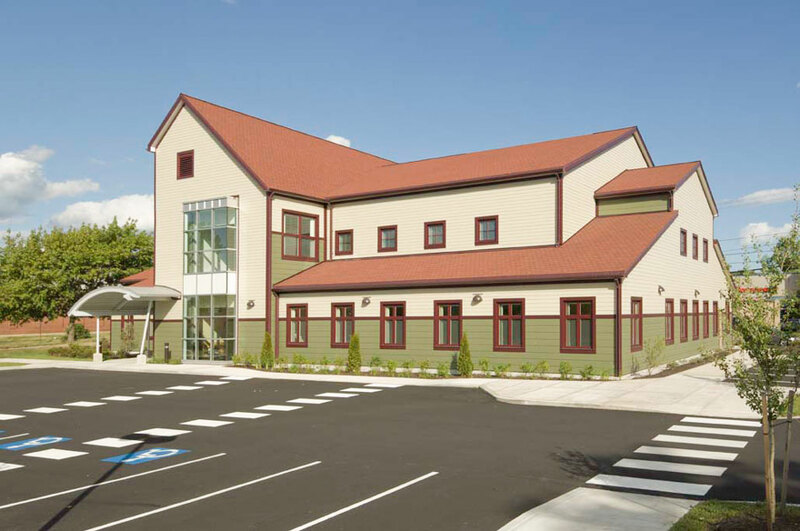 The design features a two-story central volume with pitched gable roofs, connecting a two-story and a one-story wing.